Image by beatrici photography at the secret river garden. In what seems like the longest wait for spring ever, in the blink of an eye the daffs are already wilting and the blossom petals are falling. If that’s all we get then fine, let’s turn our attention to summer! For me, this summer will mark my five year wedding anniversary and I can’t quite believe where the time has gone! 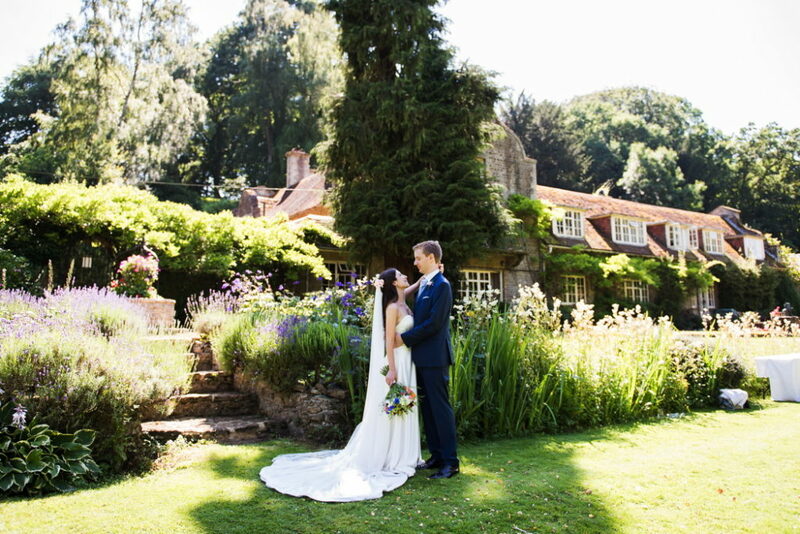 Yep, on a hot summer’s day in August I married my beau in a gorgeous English Garden and it was pure perfection. 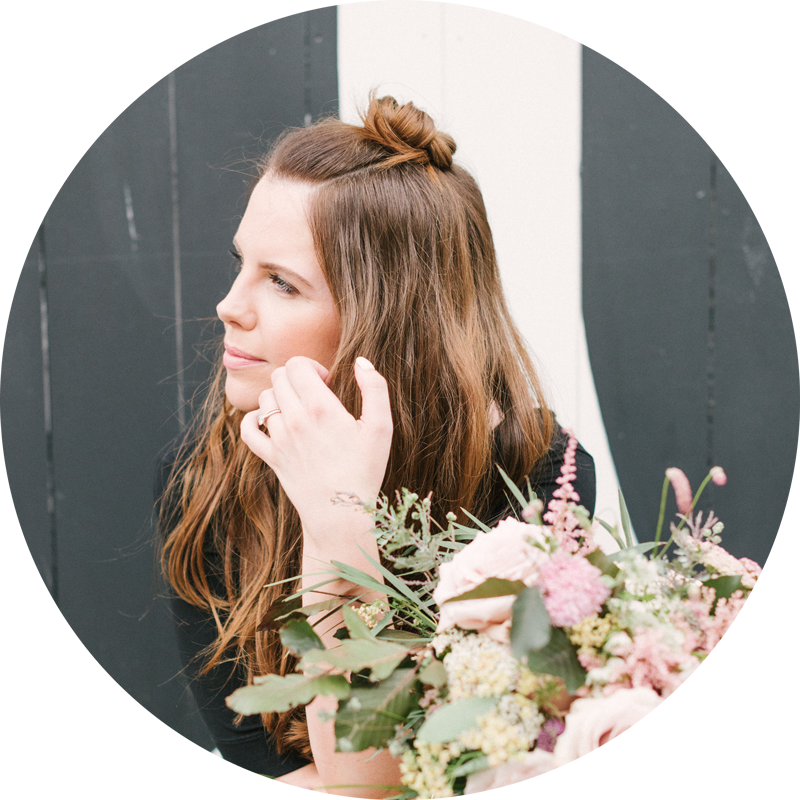 So you see, I have a little soft spot for today’s picks – I can’t think of a better way to kick off the weekend vibes than with a small selection of Outdoor Wedding Venues! So for those longing for halcyon days and for all you wistful summer brides-to-be, this one’s for you. Another Place is a new hotel on the shores of Ullswater lake. Set in 18 acres of National Parkland every element of the hotel is made with the great outdoors in mind. The original Georgian house has been transformed into a 40 bedroom hotel with swimming pool and two restaurants with lake views. The hotel has 18 acres of Lake District National Park and a quarter of a mile of private lakeshore. 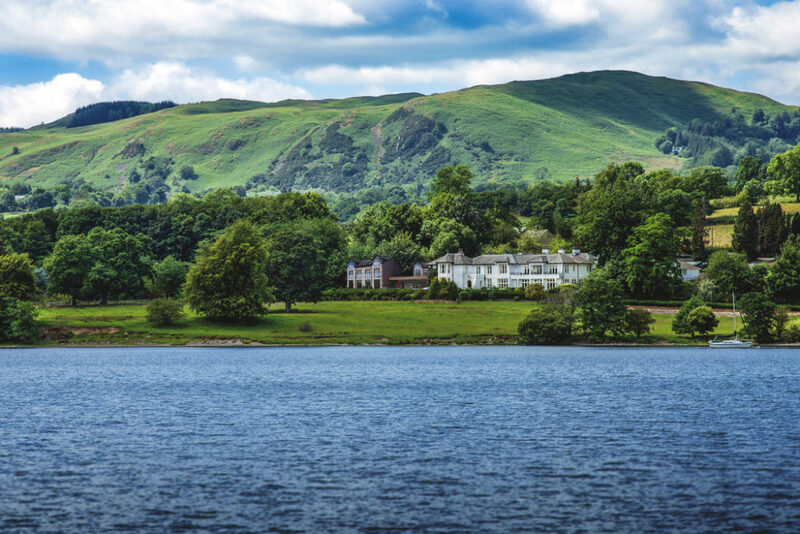 With views towards the lake and fells, their hotel and its surroundings make for an effortlessly romantic backdrop. Michelin-starred menus. Sumptuous interiors. Expansive walled gardens. With the help of their passionate team, they’ll help you create a night of otherworldly fun. Host an alfresco reception beside their conservatory, or lead guests through orchards for a blessing in the gardens. Surrounded by lawns, flower borders and orchards, the luxury hotel enjoys an idyllic, typically English setting. Guests of Belmond Le Manoir can expect enriching experiences in the world of culture, gastronomy, horticulture. 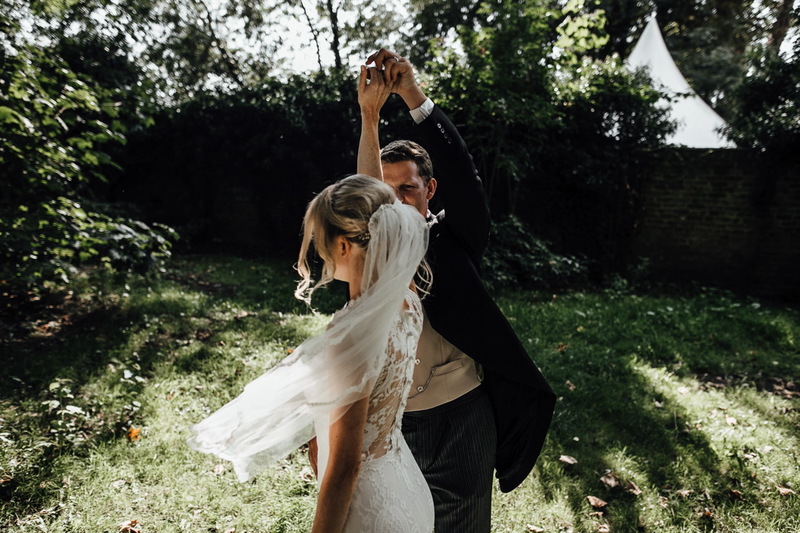 Braxted Park offers a choice of breathtaking ceremony options including the charming summer house, set in the idyllic Lower Walled Knott Garden, which is ideal for saying ‘I do’ al fresco. 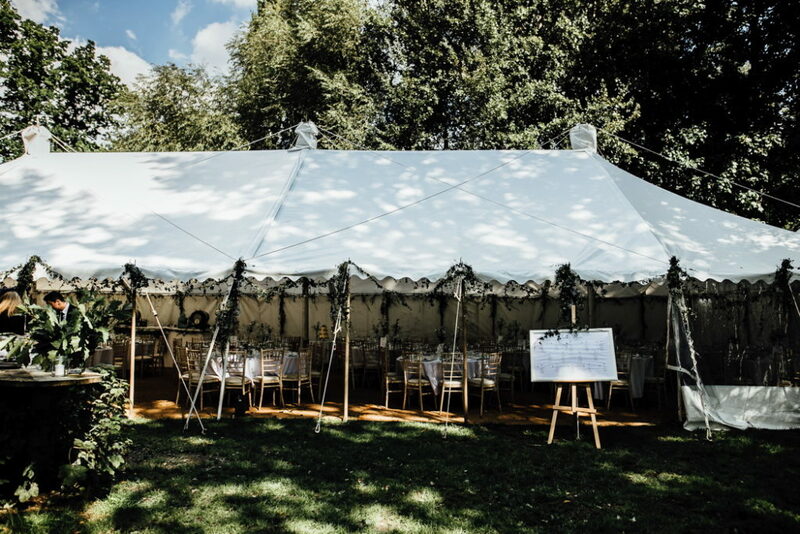 Busbridge Lakes is a truly unique and exclusive family run marquee venue in Surrey, set in the grounds of a 2A Heritage garden with 3 lakes and home to one of the largest collections of water birds in the country, all hidden in its own private valley. 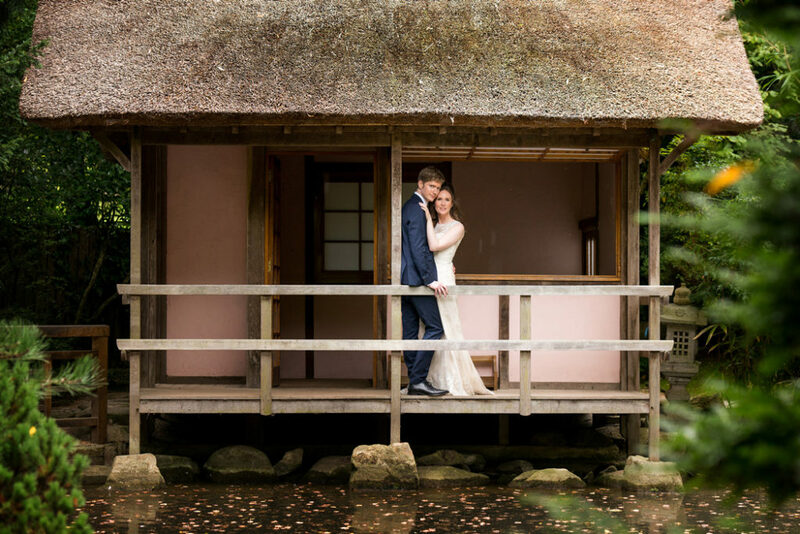 You can picture your wedding marquee in two stunning locations; either on the Canal Lake venue on the main lawn overlooking the lake’s stone bridge with a vista of the Doric Temple in the distance, all to a backdrop of the old coach house with its elegant clock tower, or in the more rustic Cedar Tree venue overlooking the Bottom lake with its barn and Gothic Boathouse surrounded by magnificent old specimen trees. The ultimate outdoor wedding venue. 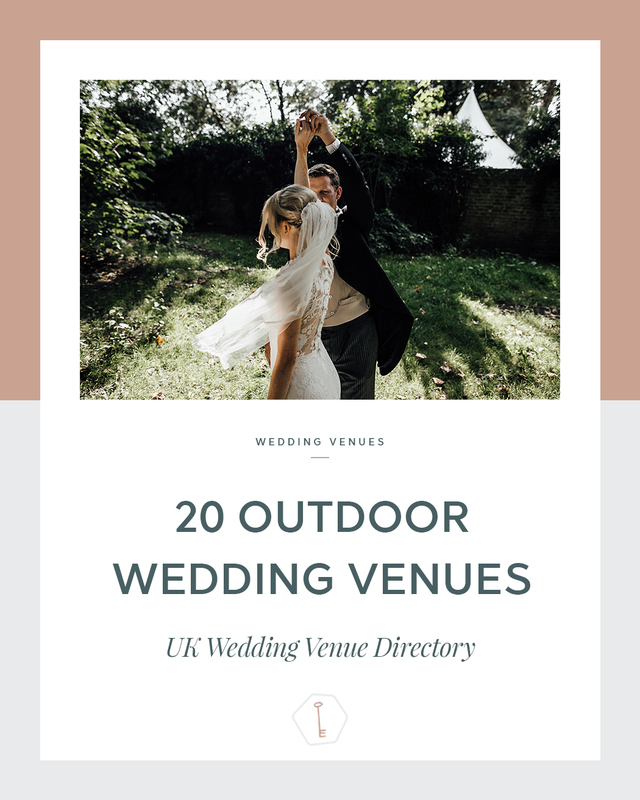 If your heart is set on a woodland wedding, green wedding, wedding by water or perhaps a festival style wedding then you’ve come to the right place. 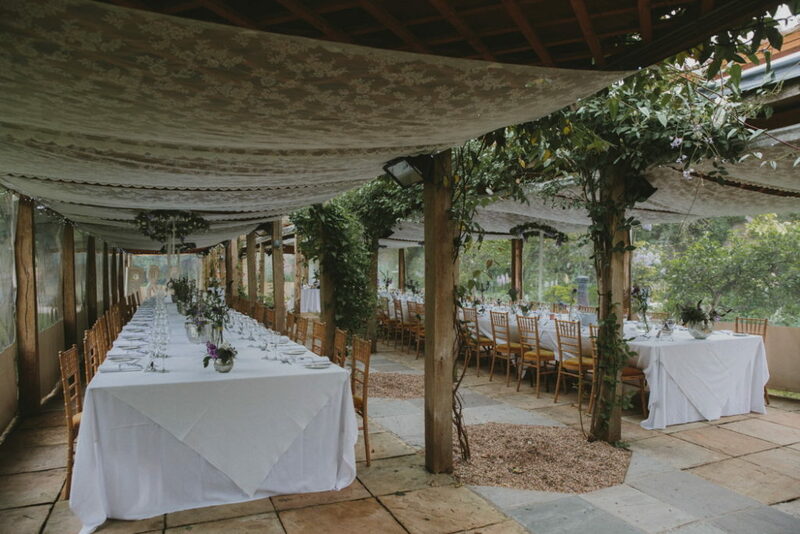 The wood, willow and canvas ceremony pavilion isn’t on a manicured lawn but really outdoors; by a clear brook and under a canopy of Oak and Ash. Declaring your love in front of family and friends is big stuff and the Cornish Tipi lot can make it traditional or funky, country or eco-chic – the choice is up to you. Located in a magical landscape on the west coast of Scotland, Crear is a very special place. Celebrate your wedding large or small, with an all star team looking after you over three days and three nights exclusive use in understated, affordable luxury, complete privacy, and a relaxed and welcoming atmosphere. 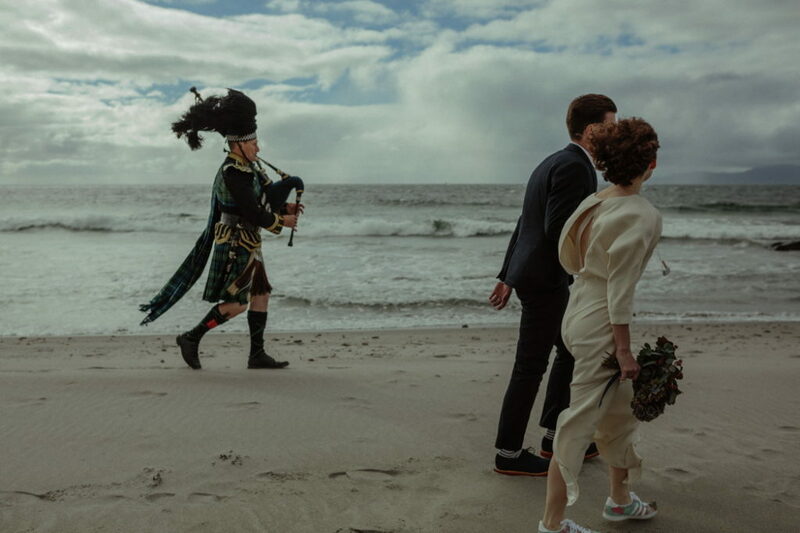 The star of the show is the wild coastline, perfect for an intimate blessing on the beach or epic photographs. An outdoor, relaxed, rustic, romantic lakeside location. 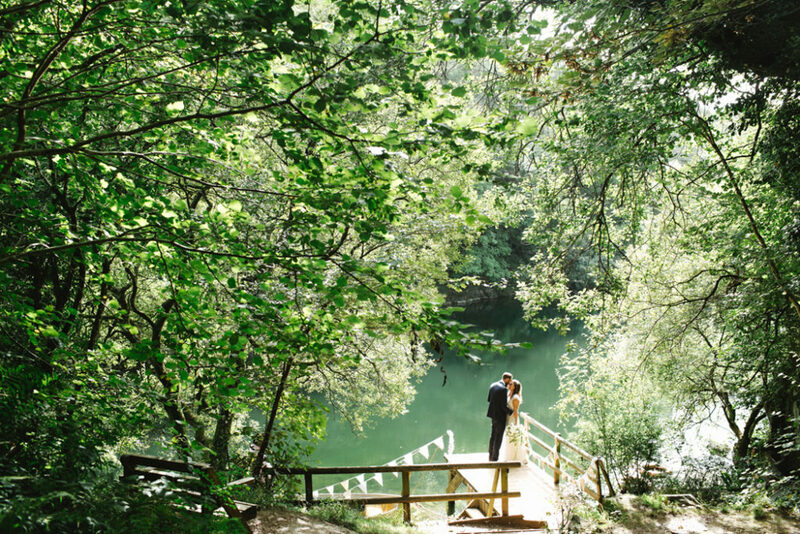 Duncton Mill Fishery is regarded as one of the finest waterside venues in West Sussex available for wedding reception hire, the stunning lakeside location nestled at the foot of the South Downs is enough to inspire you and creates the perfect backdrop to your celebrations. They are primarily a marquee reception site and their beautiful venue gives you the scope to create an original wedding that you and your guests won’t forget, you can be as hands off or on as you like – they want to give you the flexibility to put as much of ‘you’ into your special day as you want – no pre packaged weddings here! Nestled in peaceful countryside, Hestercombe is a unique combination of beautifully restored gardens, all saved from disrepair and lovingly restored to their former glory over the last 20 years. 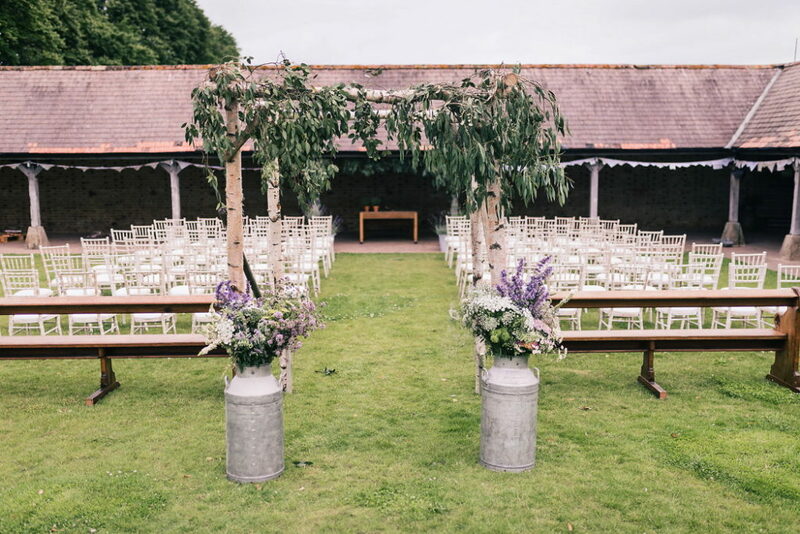 With a selection of flexible locations for your ceremony and reception Hestercombe has a wonderfully romantic atmosphere. 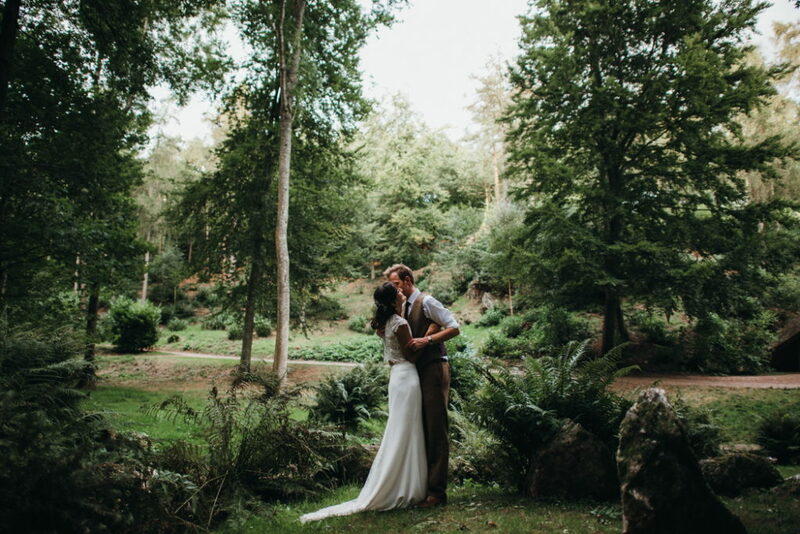 With 50 acres of gardens, woodland, lakes, cascades, temples, shade-dappled pathways and romantic corners topped off with views that will take your breath away – Hestercombe is the picture-perfect backdrop for photographs too. Set in 600 acres of idyllic countryside, Hever Castle in Kent has a rich and varied history dating back more than 700 years. 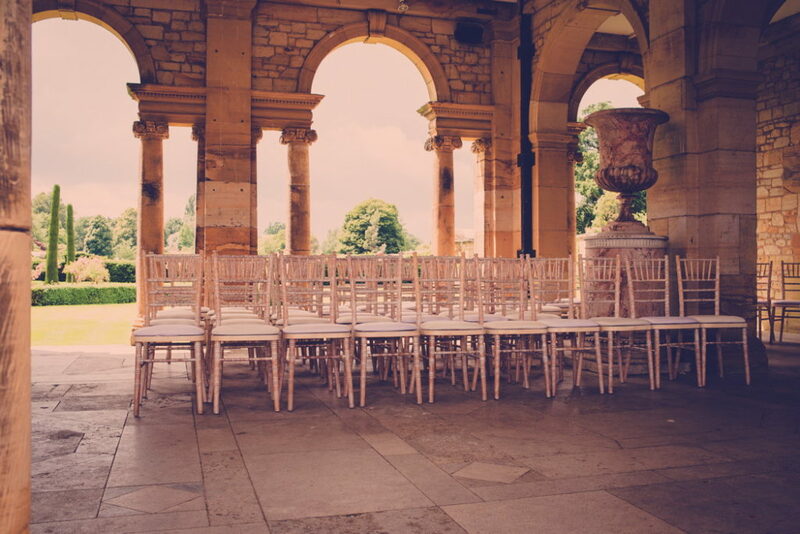 Summer months see the Award Winning Italian Garden come to life as weddings take place under the beautiful arched columns of the Italian Loggia overlooking the 38 acre lake. 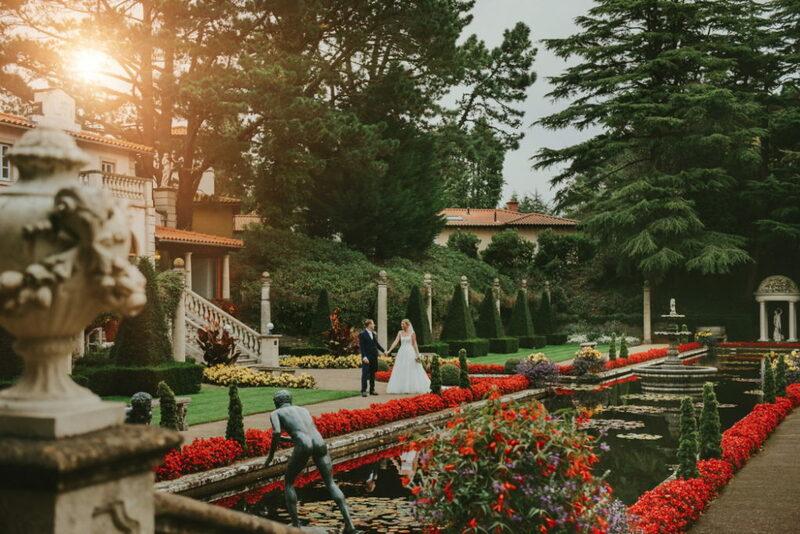 This magical lakeside location, accommodating from 100 – 180 guests can also be extended to your drinks reception where guests can take in the views from the stone piazza complete with our very own inspired Trevi fountain. 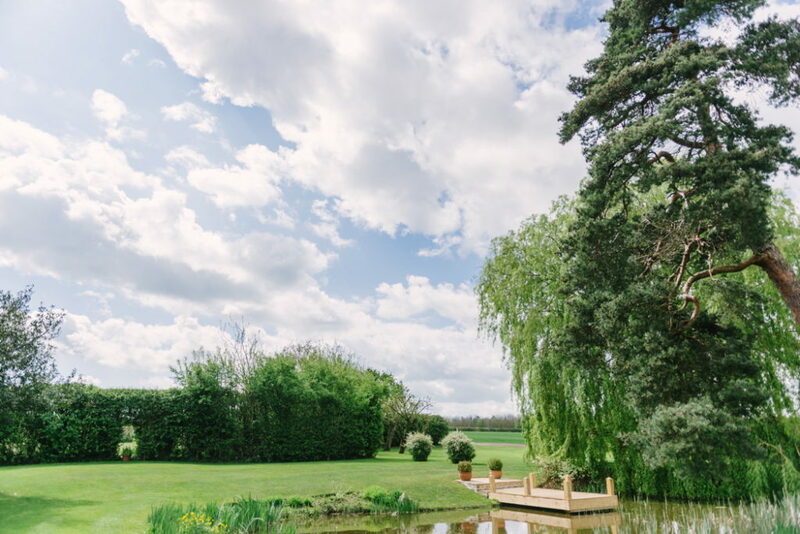 Lattenbury Hill Weddings is set in the middle of a family run Cambridgeshire farm. They are in a very private location, just 25 minutes from Cambridge. The farm has stunning views, with a charming natural pond, rolling fields and mature woodlands. It is the perfect setting for your dream marquee or tipi wedding styled to your choice. Maunsel House is set within 100 acres of stunning parkland at the heart of a sprawling 2,000 estate located not far from Taunton, in amongst stunning landscapes of cattle grazed meadows, farm land, lavender fields and historic monuments. Their pretty bandstand is licensed for civil ceremonies and is the perfect setting for a quintessential English garden wedding. With pretty bench swings that hang from the hundred year old trees and the surrounding parkland where their miniature Shetland ponies, ducks, guinea fowl and peacocks roam, you truly get to experience the magical Somerset country scenery. 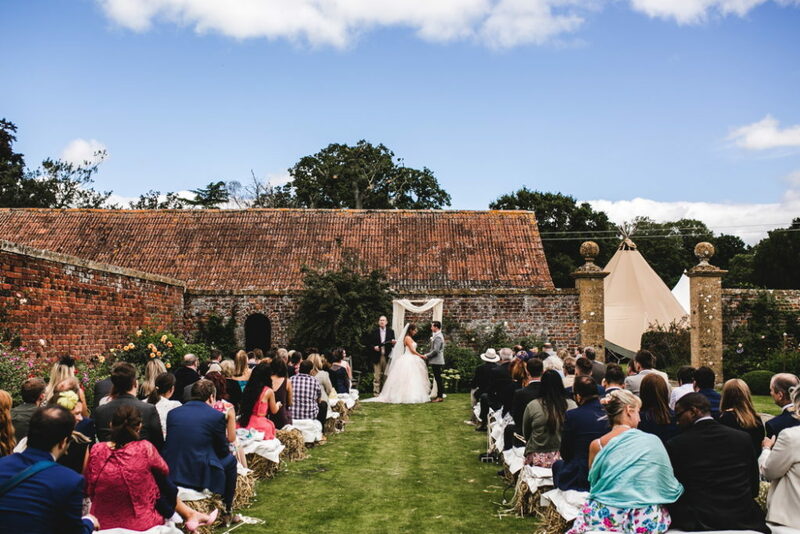 This unique family owned Somerset wedding venue lies in the heart of the countryside. A romantic Elizabethan Manor House, Midelney Manor is surrounded by beautiful gardens and weathered stone walls, it has been in the same family for 500 years. 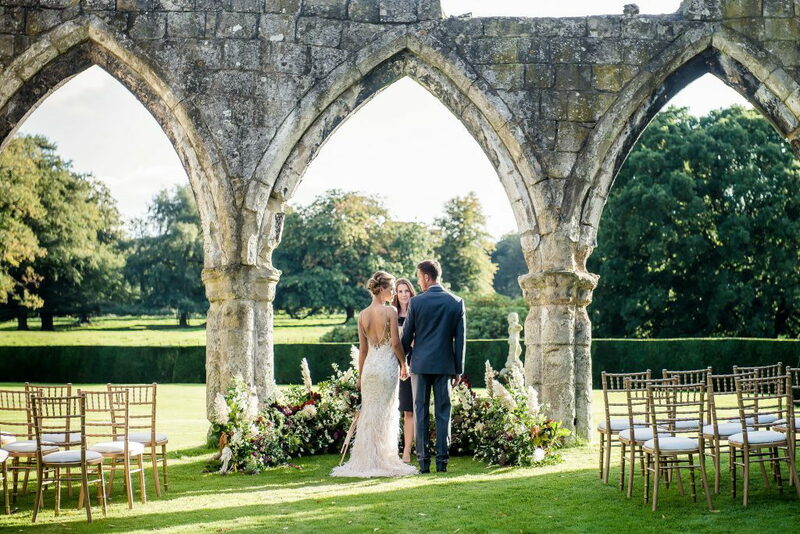 Choose from the wonderful spaces on offer to make your day uniquely yours; from champagne among the roses in the Walled Garden, an intimate lunch in the Potting Shed or a grand Marquee or Tipi in the Round Garden. Situated at the heart of the World Heritage Site, the award-winning Roman Baths and Pump Room is without doubt one of the most distinctive buildings in the country. From the 1st Century AD to the 21st Century, people have been drawn to this place for entertainment and relaxation. What remains today is a remarkable sequence of ancient, medieval and later structures that give testimony to the continuous use of hot water here over nearly 2000 years. What could be more romantic and impressive than exchanging your vows amid the flickering torchlight and rising steam from the waters of the Great Bath? Rye Island is located on the outskirts of Henfield, 20 minutes North of Brighton down a private track, surrounded by farmland and downland views. It has a feeling of being completely remote, yet the town is only a 5 minute walk away. The neighbours consist of farm animals and wild birds. 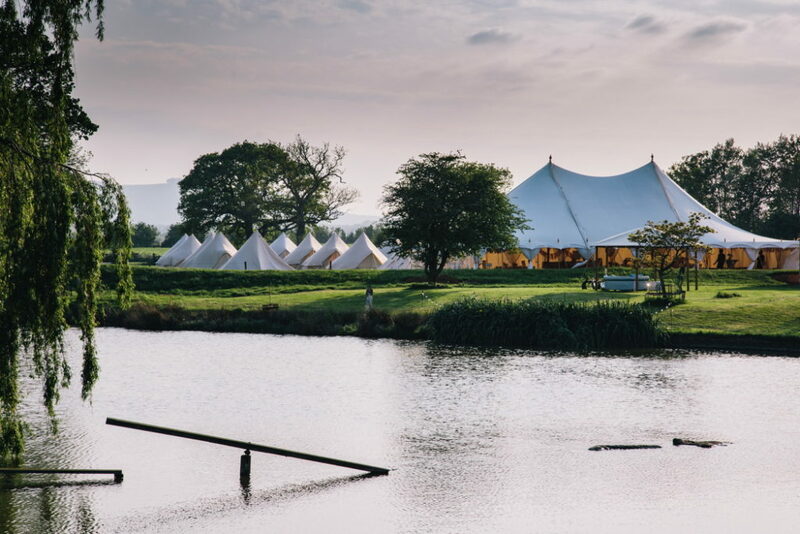 It has a lake-view marquee site, a camping field with views of the downs, a late-night ‘after-party barn’ which is decorated as an Arabian Tent. Own an island for a day! 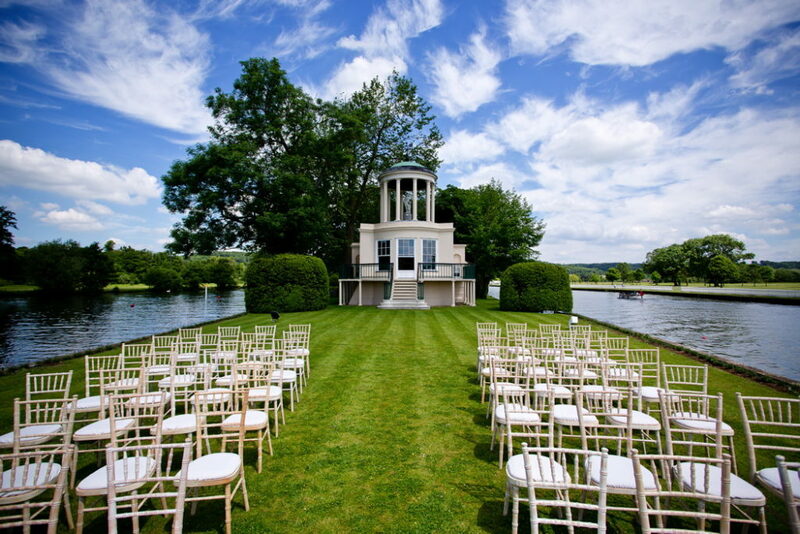 This beautiful riverside venue is situated a mile and a half downstream of the picturesque market town of Henley, on one of the most beautiful reaches of the River Thames. The Temple offers accommodation for up to 40 guests at a formal luncheon or candlelit dinner. With the addition of an elegant canopy, up to 120 people can enjoy an al fresco party on the riverside lawns surrounding the building. The Italian Villa is the only venue of its kind anywhere in the UK. 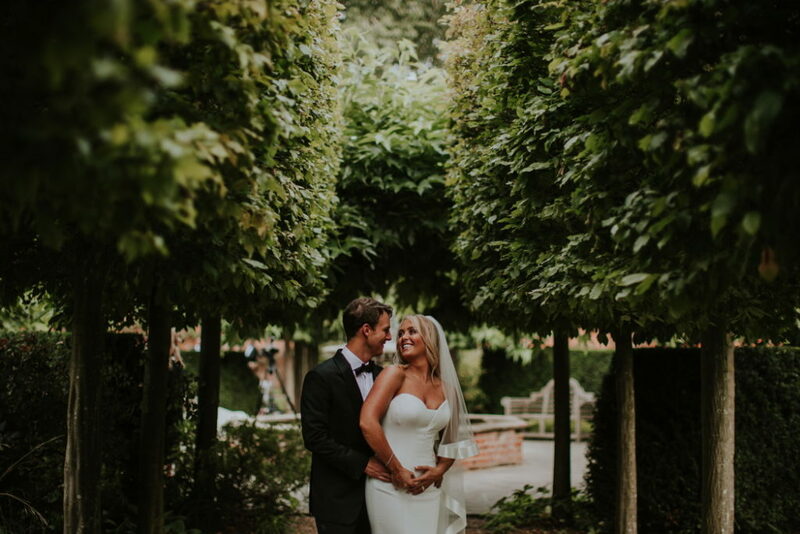 This truly unique venue is based at the historic Compton Acres, set upon 10 acres of magnificent themed gardens – the perfect setting for your spectacular wedding photos. The venue is a blank canvas and can be dressed and styled to create your perfect wedding day. Alternatively, the venue looks magnificent just as it is. If you are looking for a unique place where you can express yourself and put your stamp on your wedding day then The Night Yard is for you. You will have the freedom, the advice and the magic beyond your expectations in this exclusive use and private barn wedding venue. 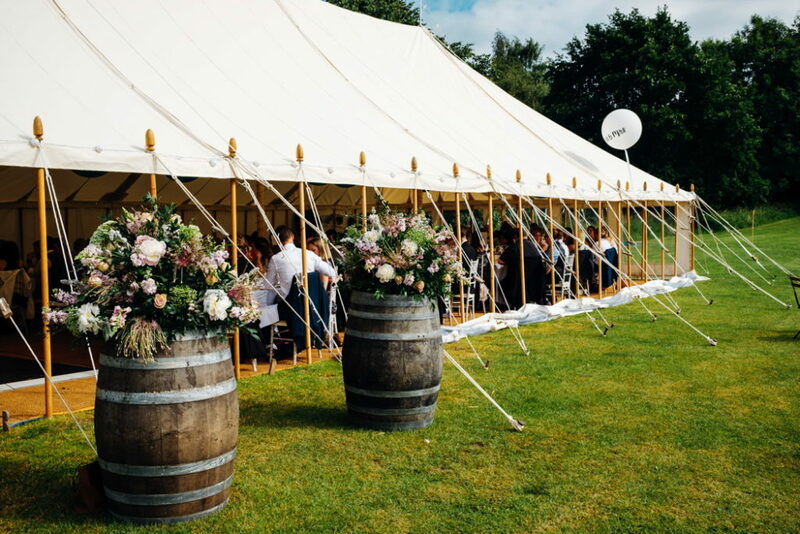 The self-contained quadrangle setting ensures that events have total privacy and exclusivity whilst still retaining the open countryside ambience. The Secret River Garden is just that… a secret. They are very much an off the radar location on the banks of the River Thames which they let exclusively just a few times per year. 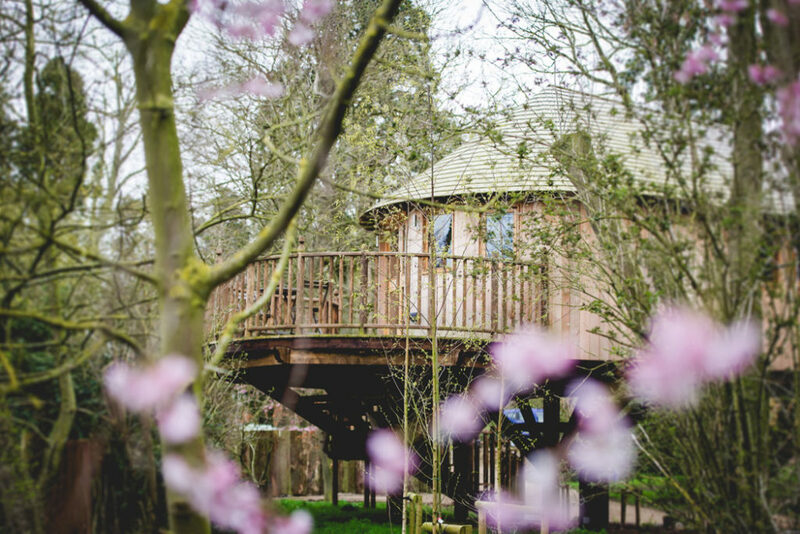 What they offer is essentially a wild garden and woodland that transports you back in time to a place where you feel totally in the countryside whilst only 20 minutes from Waterloo. Found off a sleepy country lane with barely a farm building in sight, The Woodlands is nestled in and around the trees of an expansive manor house estate. This exclusive-use rustic luxe wedding venue never fails to amaze guests, with its setting described by many as a miniature woodland village. The stylish indoor venue – complete with bar, dining and party space – offers a ceremony room full of natural light. Floor to ceiling sliding glass doors open to allow a subtle hint of nature inside with you while you exchange vows overlooking the treehouse wedding suite.